Mobile phone network that’s the other part of Everything Everywhere has taken stock of the HTC Desire S exclusively in silver, on a £35 a month tariff. HTC’s Desire S is the replacement to the popular flagship Desire mobile from 2009. The HTC new handset was launched at Mobile World Congress in February, along with six other devices from the High Tech Computer Corporation. The Desire S arrives with a 3.7-inch 480×800 Super LCD touch screen and is powered by the Qualcomm new 1GHz Snapdragon CPU, with 1GB of memory and a 5MP camera, along with the Android ‘Gingerbread’ 2.3 with the HTC Sense 2.1 overlay. 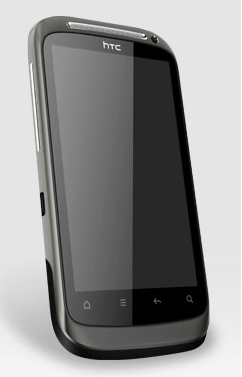 HTC Desire S is solely being sold in silver by T-Mobile, free, on a £35 contract and is accompanied by 900 minutes, a 500 text message bundle and a 500MB data allowance – with the T-Mobile flexible booster. T-Mobile now joins Orange, Vodafone, Three and O2 in carrying the HTC Desire. O2 has the mobile phone, with 100 minutes and an unlimited text message allowance – which is the lowest cost of all the networks. One Mobile Ring caught up with the HTC Desire S at MWC this year, where we published a hands-on video walk-though of the handset here and a hands-on walk-through in pictures here and an initial thoughts review here.